Alhamdulillah! 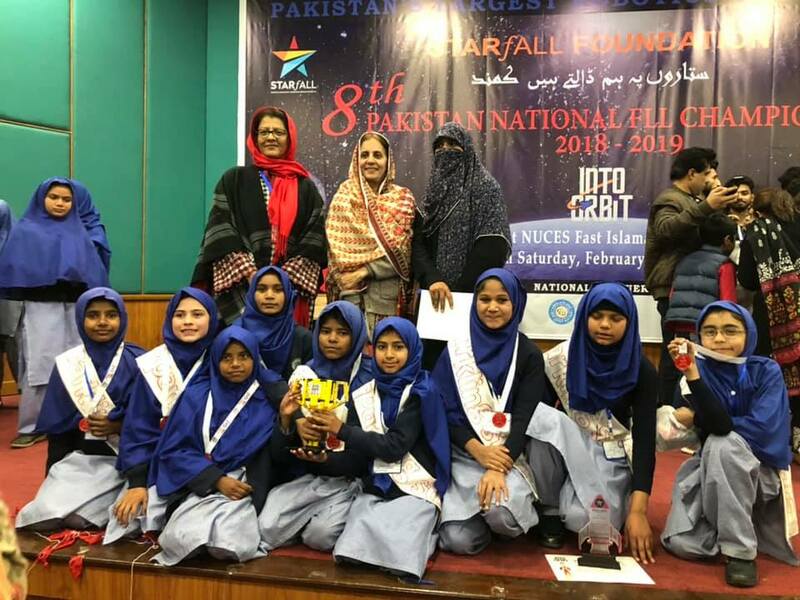 Team Sparkling Stars won the Gracious Professionalism award and has been nominated to participate in the International Championship in Lebanon 2019. Following expenses are required to join event. We need your support for this noble cause. OSC (Out of School Children) School is an initiative to educate the part of society for whom few people care for. The main aim behind OSC Schools is to provide free quality education to poor children who never had the opportunity to go to school because of financial constraints and being over age. The school is located inside the building of a Federal Government (FG) school in Islamabad. At OSCS children are given primary education in a relatively short duration so that they are prepared to enter main stream education besides having high level of moral and ethical values. They are also provided free lunch, books, copies, stationary, uniform, shoes and other requirments.